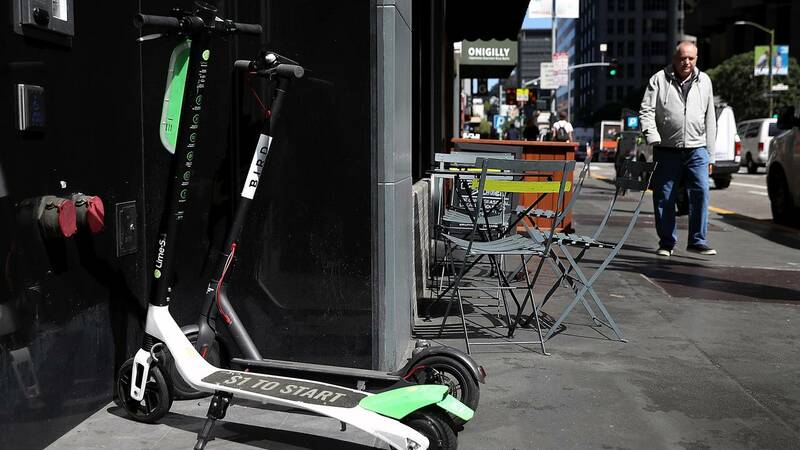 Bird and Lime scooters sit parked in front of a building on April 17, 2018, in San Francisco. (CNN) - Lime has pulled part of its electric scooter fleet from the streets after learning that some of its vehicles' batteries could catch fire. It's an embarrassing setback for the billion-dollar startup whose scooters are available for rent in dozens of cities around the world, including through Uber's app. In a blog post Tuesday, Lime said batteries made by Segway Ninebot — the company behind Segway scooters — can smolder and in some cases catch fire. Lime used the batteries in early versions of its vehicles. The startup said it removed the affected scooters in Los Angeles, San Diego and the Lake Tahoe area, the three places where they were in service. "Immediately upon learning of the defect, we worked with Segway Ninebot to create a software program to detect the potentially affected batteries," Lime said. "We then worked independently to create an even more thorough software program to ensure that no potentially faulty scooters remained in circulation." The issue affected 0.01% of its total fleet, according to the company. But its battery problems don't end there. Another version of its scooters "may also be vulnerable to battery failure, which we are currently investigating," it said. In July, Uber invested in Lime as part of a $335 million funding round for the scooter startup. The deal gave users of Uber's app the ability to find Lime scooters. Uber branding was also added to the scooters. The electric scooter industry has already had a roller-coaster year. Cities across the United States moved aggressively to rein in, and even shut down, companies like Lime and Bird Rides when hundreds of scooters filled their streets and cluttered their sidewalks seemingly overnight earlier this year. But some cities later softened their stance as they realized scooters can play an integral role in easing congestion, reducing pollution and bolstering public transit. The scooter startups' success in getting people to use their vehicles has attracted investors. The July funding round valued Lime at $1.1 billion. Its rival Bird Rides has been valued at $2.2 billion. Segway Ninebot wasn't immediately available for comment late Tuesday on the battery problems reported by Lime.